Research conducted by Heinz shows that we’re no longer a nation mindlessly munching on mere meat and two veg, as Irish tastes and culinary skills have become more experimental and more health-focused. The research was developed by Heinz to coincide with the launch of #MyTable, a fun new campaign to promote Heinz’s popular No Added Sugar Beanz. Overall, the report highlights the shift towards healthier eating and more experimental food choices amongst Irish adults. The report shows how attitudes differ, depending on life stages with the priorities of Gen Z often differing to those of Baby Boomers. Importantly, the research demonstrates that, as part of our societal culture, mealtimes really matter. 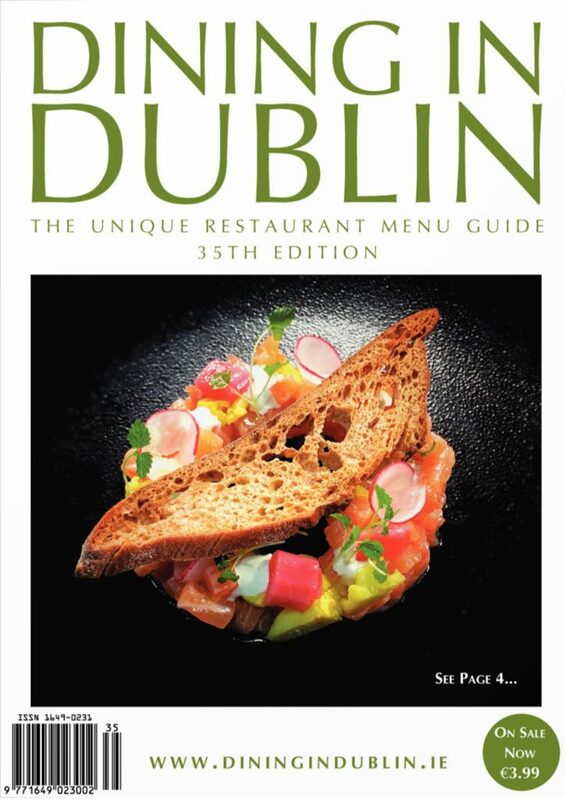 Irish people hugely value meal times with family and friends, regardless of age. We’re getting healthier and more adventurous! Doubtless, the effect of popular TV cookery programmes and the rise of food-internet-culture have contributed to the nation’s rising confidence in trying out new foods. Eating healthy is a priority for the majority of Irish people – with the demand for Low Sugar and Low Salt options growing. 68% of survey respondents claim they ‘like to eat healthily most of the time’ with Baby Boomers more likely than any other age cohort to make that claim. However, being healthy is challenging. Gen Z and Millennials are most likely to claim that being ‘super busy’ makes it difficult for them to make healthier choices; whilst Baby Boomers are finding it easier. Almost half the population (43%) chooses to ‘sometimes eat vegetarian or vegan’ with females more likely than males to make that choice. This has become known as a flexitarian diet: eating mostly plant-based foods while allowing meat and other animal products in moderation. Mealtimes matter. Research shows that social occasions around mealtimes is important and it remains a huge priority for Irish adults. Whilst 12% of people claim ‘not to eat a lot of meals with family’, family mealtime (eating meals, at home with my family) is still a regular habit for nearly 3 out of 4 (72%) of those surveyed. However, it depends on the age profile of those asked. Gen Z/Millennials, and those without kids, are most likely to claim that how and where they consume their meals ‘can change depending on the day’. Gen Z/Millennials also most likely to claim to ‘eat out a lot’. Those with kids are most likely to claim to eat most of their meals at home with their family. 83% believe that ‘eating meals as a group/family’ is important for our children’s health, well-being and development. When it comes to dinner, despite pre-conceptions of a nation-on-the-go, 65% of those surveyed eat dinner ‘at the kitchen table’. 40% of those asked think that, in their household, they do not eat together, enough as a family / group. We’re a nation of bean lovers! When it comes to attitudes towards beans, overall Irish people are positively predisposed to beans, and their nutritional value. Beans are naturally high in protein and fibre and this is something Irish people understand. However, attitudes towards beans vary, depending on age. Compared to younger generations, Baby Boomers are most aware that beans are high in protein, are nutritious and are healthy. Gen X are most likely to consume beans as one of their 5 a day. Reassuringly for Heinz, when asked ‘do you think you should eat more beans?’, over twice as many people agreed that beans should be a bigger part of their nutritional diet! Heinz is a trusted beans brand. Beans are naturally low in fat – a 100g serving of Heinz No Added Sugar Beanz contains just 0.2g of fat Heinz No Added Sugar Beanz are also naturally low in salt and cholesterol free. They are high in protein and fibre too with no artificial sweeteners, making it a perfect choice for today’s more health-conscious mealtime maker. The Heinz #MyTable campaign celebrates the modern Irish mealtime – which is becoming more health-conscious & experimental than ever before. Fans can get involved by joining the conversation on Heinz’s social media channels. 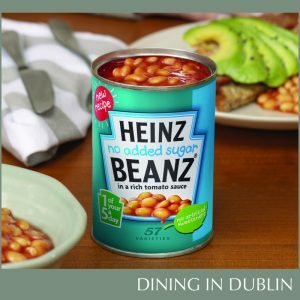 Heinz wants to know what celebrity Irish people would like to join them at their table for mealtime. Fans are invited to tag their most wanted guest using #MyTable to win prizes! Heinz No Added Sugar Beanz is now available in stores around the country. Watch out for the #MyTable campaign on billboards, on social and at www.heinz.ie.